The Better Apartments Design Standards will be set in place in Victoria from March 2017, as a way to improve the liveability and sustainability of apartments in Victoria. The standards will come into effect when they are implemented in the Victoria Planning Provisions and all planning schemes, designed to give the growing number of people living in apartments access to natural light, airflow and storage. According to the Andrews Labor Government, until now Victoria had limited design guidance for apartments compared to other Australian jurisdictions. Rather than include blanket apartment sizes, Victoria’s new standards allow for flexibility and innovation while making sure spaces are liveable. “Victoria needs liveable, affordable housing options and we’re making sure new homes are well-designed and accommodate different household types,” Minister for Planning Richard Wynne said. The standards address mobility needs and encourage sustainability by encouraging recycling, energy and water efficiency and minimising stormwater run-off. Through building setbacks, landscaping and waste management rules, the aim is for new apartments to enhance surrounding neighbourhoods. The standards will be complemented by new design guidelines, an apartment buyers and renters guide and an education and training program for planning and building design practitioners. “These standards bring us up to speed with other states, they preserve affordability and will make sure bedrooms are big enough to fit a bed,” Mr Wynne said. A monitoring and review program will measure the effectiveness of the standards to make sure the right outcomes are achieved. 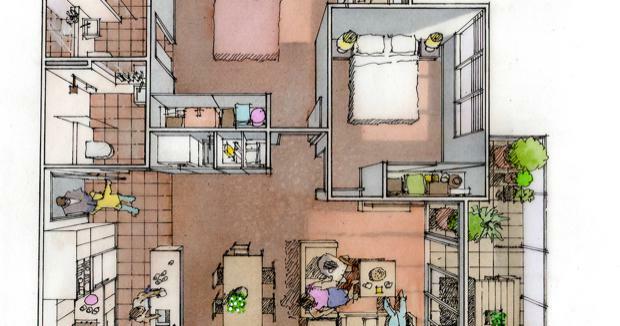 The Labor Government kicked off the apartment planning overhaul in 2015 with a survey, drawing more than 2000 submissions, which showed people want light, airflow and storage in their apartments. Draft standards were prepared with the help of the community, local government and development industry, generating more than 250 submissions during consultation. The government has since worked through a range of options to create clear, practical standards.